There is an old saying that states ‘you cannot go back and expect to find the same things you found originally.’ Such is true of the Sundara Indian Restaurant in Ocean Beach. 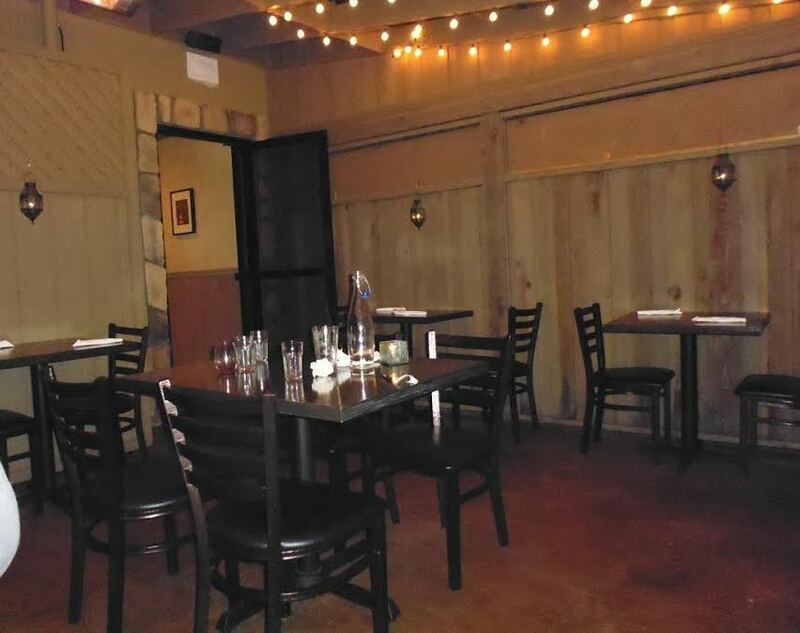 I originally reviewed this restaurant August 3, 2012, when it was located in a tiny restaurant almost on the corner of Sunset Cliffs and Pt. Loma Ave. At that time it was sharing its restaurant with the “Pt. Loma Beach Café” – cooking its meals in a community kitchen during the late afternoon and bringing that food to its patrons for dinner. It was very good and I gave it a favorable review in the OBRag. Asked again to review it now that it is in a permanent place with the ability to cook all of the meals on the premises, I asked my friend Eric to accompany me, as he has done several times in the past. We arrived just a few minutes after 7:00 pm, and the very, very small dining room had no available seating. There was a patio, however, and we decided to eat outside. When we walked in there was evidence of a heater, but the table we took was too far away to derive any benefit from it, and I virtually froze during the entire meal. There were 4 other tables occupied in the patio and two other patrons came in while we were eating. The menu is very limited – 3 appetizers; three traditional curries – all $9.50; 3 vegetarian curries – all $9.00; Tandoori Chicken – $8.50; 4 kinds of Naan bread – all $2.25 except for the cheese Naan which was $2.75. There were two different types of chutney offered at 75 cents each and one Raita – made with yogurt, cucumber and spices at $1.50. Additionally there is a beer and wine list with draft, Indian and bottled beer offered, and white, red and sparkling wine. There were the traditional soda’s, Tazo iced green tea, Mango Lassi which Eric and I both had – $3 – and the one dessert was authentic rice pudding. After looking at the appetizer menu, Eric and I decided to order Samosas, which were crisp pastries stuffed with spiced potatoes and peas, and served with two chutneys. There were two per order, and we ordered one order to share. The cost was $4.50. They were cooked nicely – not greasy – and I wished there were more than just two of them. We also ordered a plate of the garlic and cilantro naan bread ($2.25) that was served hot and with our meal. It too was tasty. Eric ordered the Tandoori chicken but was disappointed with it. Although it looked quite moist, and the two chicken legs were better than the white meat, it was quite dry and did not have much of a flavor. Fortunately the waiter had left the two chutney’s from the samosas on the table, and Eric used the sauces to aid in the flavor of the chicken. The Saag, a spinach and caramelized curry. I ordered the Saag, a spinach and caramelized curry that came with long grain basmati rice. The description stated that “ . . . recommended with paneer” but I was not asked if I wanted it or not. I now presume that “paneer” is tofu, since that was part of the curry sauce, but I would have preferred my meal not to have it if given a choice. I was not asked what strength I wanted the “hotness” of the curry to be, and I found it was very, very mild – too mild for my taste. The rice came to me piping hot – steam generating from the serving box it was in for quite a few minutes into the meal. Throughout our meal there was music playing and Eric and I laughed at some of the selections. We walked in to Simon and Garfunkel singing, there was rap, there was odd sounding music – not of Indian origin, and one selection sounded downright eerie. When it came time for us to leave I asked Eric if he wanted to take the leftover chicken home with him. He elected not to do so, citing the dryness and lack of taste. Our server was excellent and asked us many times if everything was all right. He gave us a form to fill out – that both Eric and I had trouble doing but that is probably because we are both retired teachers and didn’t pay attention to what we were supposed to do – indicating what we wanted to eat. The waiter said they were doing it that way so they did not have to pronounce the different foods on the menu. I would scrap that idea; the human touch is more important and you cannot ask a form what something is made of – like the “paneer” for example. Overall our $40 meal – including tip – was not what we had expected, nor was it as good as the meal we had both had at their other restaurant last year. At $40 it was overpriced; and “C” grade at best. I am truly sorry, because it was so good the first time I was there that I wanted to go again. Would I go back? It is doubtful. There are other Indian restaurants in the area that seem to have better quality control and are more tasty. I hope that changes are made to the menu; I hope that a second heater is installed in the patio; I hope that there is more flavor to the items being served. It should also be noted that you can order on-line and there is delivery service after 5:00pm. There is a $1 charge for the delivery service. It was apparent that many people were ordering meals to be delivered, because the man making the deliveries walked in and out through the patio many time while we were there, and each time there was a gust of cold wind that permeated the patio. That also needs to be modified for the future. I’ve never had a bad experience with Sundara. I order it online about once a week and am more than full for ~$10-12. Ditto what Tyler says. I eat there quite often, and find it to be consistently good. In fact, I would say consistency is one of their strong suits. It feels like you went into this dining experience with a bias because you were already uncomfortable with your seat and thought the music was odd. I like you Judi, but I have to take your reviews with a grain of salt since we often disagree, and I find some of the persnickety-ness exhausting. Also, if you aren’t quite sure what paneer is, perhaps reviewing Indian food restaurants should be left to someone with a little more experience with that type of cuisine? The chicken tikka masala is outstanding! I agree with both Tyler & Jon. I also believe that a good resturant columist should never write a bad review, instead they not write one at all. Isn’t a review a review? Should a teacher only give out grades on if they are “A’s”? Maybe take out or delivery will be successful for them…in your own house you can put on whatever music you like and turn up the heat. Good luck to Sundara and maybe a review next year would be interesting to see how things are going. Judi, thanks for taking the time and money to do these reviews. Paneer is cheese. I love Sundara because sometimes I want to get food delivered and I don’t want it to be pizza (i’ve never eaten at the restaurant). Sundara offers a healthier option at reasonable price and I’m really glad we have them in OB! My, my! What interesting comments. A “good restaurant columnist should never write a bad review?” Are you serious? I won’t even comment on that comment. Ordering on-line once a week and always full? What does ordering on line and being full have to do with anything? My experience wasn’t a bad one. It just wasn’t as good as it was the last time I ate there. My only “bias” going in to the restaurant was one of looking forward to a great meal – like I had before. Yes, I was cold, but that had nothing to do with the meal. And the music was odd – I would have preferred to hear Indian music in the background, thus adding to the ambiance of the place. I like Simon and Garfunkel – it has a good beat and fun to listen and dance to. It had nothing to do with my liking or disliking the meal. And if the menu states that they “recommend having paneer” with the item chosen, it would be best if the waiter would have asked me if I wanted it instead of adding it without asking. I have reviewed many Indian restaurants; some of those reviews can be found in the OBRag – including another one of this particular restaurant. Perhaps you are adding a bit too much salt to your meals to appreciate someone else’s opinion. And remember – I wasn’t alone – I was with a person that has traveled world-wide; who cooks his own meals; and his opinion is also part of my review. This meal that we had was not up to par; as many times as you and Mari and Tyler may have been there, it was still lacking in flavor and consistency. I just added my opinion in the replies and I didn’t feel like going into massive detail. I share Jon and Tarfu’s sentiments on Sundara. I didn’t even comment on you so I’m not sure why you are dragging me into this. I’m just looking for out Judi …. I’ve worked in many restaurants and I know exactly what can go on behind the scenes. I’ve worked in a few restaurants in my day, and I have seen people quit over customers like this. Literally just take their apron off and walk out, haha. At $5-10 a plate, you just aren’t paying for a fine dining experience/food/service, and should maybe adjust your expectations. JMO. You have to be kidding. I can cook a good tasty meal at $5-10 a plate. And if it is not good I say so. I am always paying for a good meal and absolutely refuse to lower my expectations because the chef was “off” that day; or something doesn’t taste good. Quality is the name of the game, and there are too many restaurants around to settle for mediocre food. I work hard for my money, and regardless of the cost of the food I expect as good if not better than I can do at home. With only consideration of price for a product or service and expect that if one pays more they get something better doesn’t jive for me. That would be like hiring a landscaper and having only some of your yard moved cause it’s a few dollars less than another contractor. Service is service. Cleanliness is cleanliness. Warm is warm. Courtesy is courtesy. Tasty food is just that …tasty and cooked with pride. When you do things right …. people take notice and you are much more successful….no matter what business you are in. Love this place! I agree that the food is a bit on the mild side, but it’s always been fantastic — and pretty cheap. I took my family here when they were in town and they absolutely loved it. All dishes are great for sharing. Good beers, too. Whilst I have not partaken in Sundara just yet, I thought you all would get a kick out of a review of them by Ian Pike of the SD Reader 5 months ago and the ensuing comments below the review. Judi, Ian agrees with you, but there are detractors. Bless you Mercy – and Ian too! How strange we had the same thing also with a similar reaction. The comments at the bottom of that review are funny. Maybe Ian and Judy are right about the chicken meat. 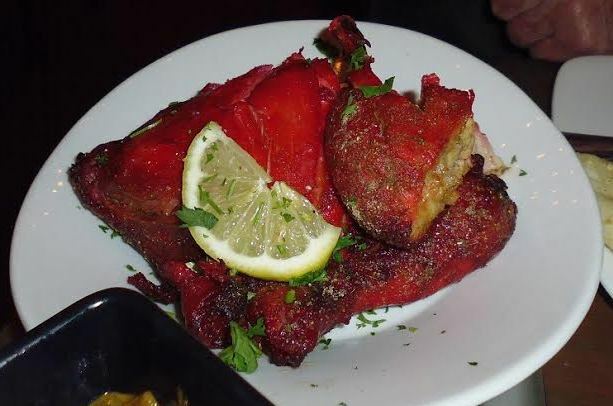 I used to get the Chicken Tika at Sundara, but I found that the chicken pieces were too large and dry for my taste. I never thought about substituting dark meat. I changed my normal order to the Paneer Tika which is delicious. I also like the naan and the sauces. I like the tandori chicken too. Never had the saag, but it is on my to do list. Tried Sundara after hearing several good reviews and it being just down the street. Definitely agree with Judi on this one. I left feeling really confused as to where are the rave reviews were coming from, as this didn’t actually taste very much like authentic Indian food as I have come to know it over the years. I was also really turned off the by the (canned?) tomato taste that permeates the Vindaloo & Tikka Masala. This food seems highly Americanized (gave me flashbacks to stumbling on a Mexican restaurant once in Western Virginia; hint: it wasn’t run by Mexicans), which maybe isn’t such a bad thing for some but that just doesn’t appeal to me. To each their own though. I won’t be back; I’ll just keep lamenting Kecho’s departure. Judi, your review is spot on in my opinion. I’ve had the same experience at Sundara; dry chicken and an overall lack of taste to the meat. I’ve had the take-out a few times as I really want an Indian place to succeed in OB and give them a shot. It’s been average at best. I’d provided comments to the owners in the past – never heard back, even a “thanks for your comments”. I actually live right next to Sundara, but I haven’t been there yet to try their cuisine. Thank you for all of your reviews, opinions, & comments. I am a food explorer so it does gives me an idea what to expect when I go there for the very first time. I appreciate Judi’s review. I think the reason Sundara has so many good reviews is mainly because they deliver. Before Sundara, pizza was pretty much the only thing available by delivery in OB unless you wanted to pay one of those delivery services. I really like Sundara, but have never been to the restaurant. The on-line ordering is easy. They normally delivery fairly quickly. The delivery guys are nice and polite. I am fine with the spiciness level. The prices are fine. I like the food, etc. But how about making BROWN RICE available?! We have been asking for it since the beginning and have been told it would soon be on the menu. It is probably a good idea to ask for the spiciness level, use space heaters and play Indian music too IMO. Overall, i still give it a very positive review and am very happy they are in OB! You missed the point, Bill. 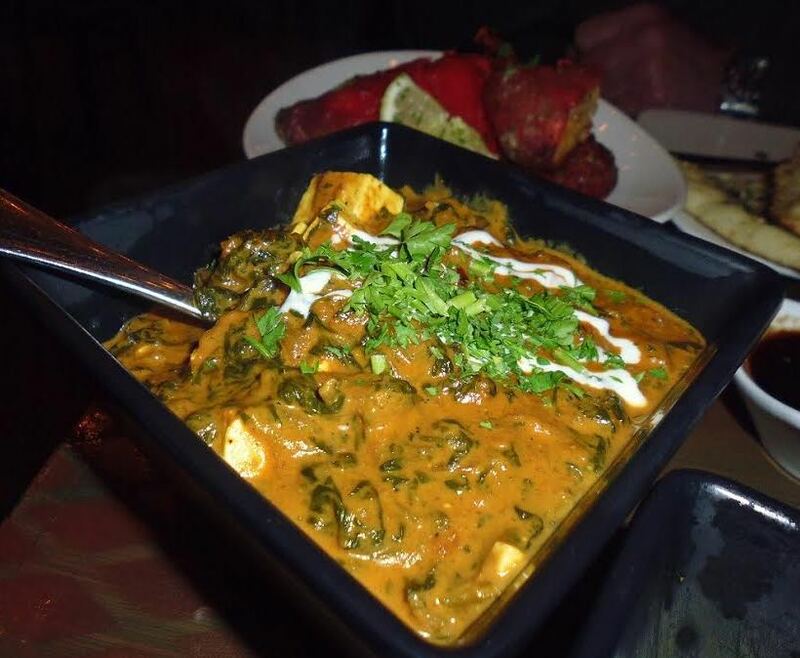 If “Paneer” is recommended – as it said it was on the menu – then I should have been asked if I wanted it. The first time I went to Sundara I gave it rave reviews. Could not do it this time. And “giving a restaurant a break” is not the role of a reviewer. And I did know what “paneer” was; a restaurant cannot “assume” that people know what the ingredients of a dish consist of. Where is your website…so we can read your reviews ? I did say that, Bill. I was waiting for someone – like you – to tell me I was wrong. Perhaps the “editor-dude” will see your comment and respond to you.